Zooming to Central America with national flags on simple political globe. 3D illustration. Heart in colors flag of El Salvador pulses, loop. 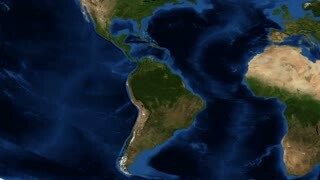 Zooming to Central America from flying around globe. 3D illustration. Zoom to Central America with embedded national flags on blue political globe. 3D illustration. Closing in on El Salvador with national flag on blue political globe. 3D illustration. Closing in on Central America on simple globe. 3D illustration. Zooming to El Salvador with national flag on simple political globe. 3D illustration. Zooming on El Salvador on slowly rotating political globe. 3D animation.